Unu has been around for a few years but can still be considered a start-up. 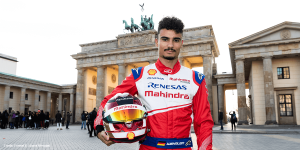 Based in Berlin, the three boys just finished another round of financing, this time collecting 10 million euros from mostly existent investors. German scootermaker Govecs is working on a scooter supposed to be so safe, drivers will not require a helmet. 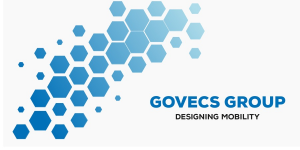 In order to receive approval from the authorities, Govecs has turned to BMW. The carmaker has a patent pending for such a safety technology and was open to a licensing agreement, says Govecs. Trinity Electric Vehicle is a German importer and maker of electric scooters. 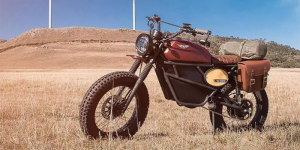 They announce their plan to launch their first electric motorbike in 2019, an Enduro qualifiying for both street and off-road use despite its classification as low-powered moped. Still it puts an extra punch into acceleration. 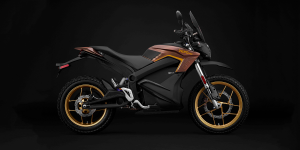 Zero Motorcycles announce updates to their electric motorbike lineup for 2019. Ten years in the game, the Californians are ready to deliver more power and more range and to serve a wide circle of customers for longer. 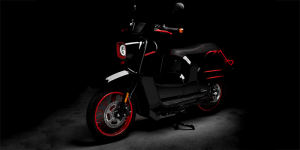 Govecs acquires a new electric scooter model from Spanish motorcycle manufacturer Rieju in order to further develop and launch it under the name Flexy in the “mid-price segment”. 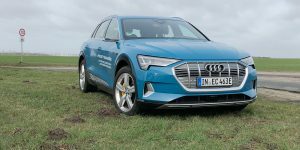 Sales kick-off will follow probably already in the second quarter of 2019. 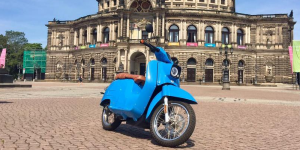 Here she is, the most original scooter from Italy only electric. 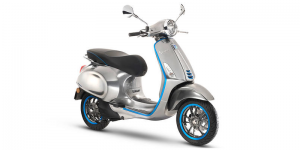 Piaggio has finally started selling their Vespa Elettrica. The updated classic will come to buyers in Europe first before pre-sales are to start in the U.S. and Asia. Just beware, the price tag makes this a luxury e-scooter. 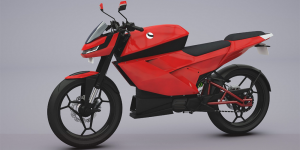 A new California-based motorcycle company is making headlines with the presentation of their first electric motorcycle model. The design is strongly reminiscent of 1950’s and 60’s scrambler style motorbikes, giving it a very traditional, vintage look, combined with modern electric technology. Niu is among China’s largest electric scooter manufacturers. Now they are looking to get listed on the U.S. stock exchange, where they seek an IPO worth 150 million dollars to increase production, intensify R&D and widen their distribution. 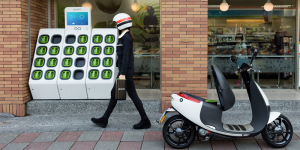 Electric scooter manufacturer Govecs could release thousands of their LEVs in London over the next two years. 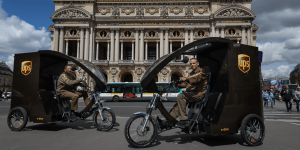 They signed a letter of intent with a British company regarding the delivery of 6,000 e-scooters for the sharing market in the UK capital. 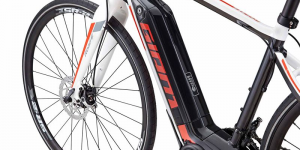 Yamaha is taking their electric bike business further into new markets. A cooperation with Gogoro for Yamaha to use the firm’s battery swapping system in Taiwan is just in the making. Yamaha will add their design and marketing power. Moreover, they started selling pedelecs in the U.S. for the first time. The British government announces two million pounds to support the uptake of electric cargo bikes. 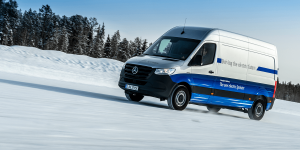 Westminster hopes the zero emission wheelers will replace vans, particularly when making last-mile deliveries. Details are yet to follow. 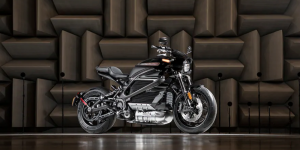 The classic American motorcycle manufacturer has announced plans to open a research and development centre in Silicon Valley to help develop future products in their planned line-up of electric motorbikes. 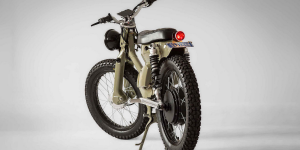 At the same time, the manufacturers presented a nearly serial-ready prototype of their first electric motorcycle. The Swedish company Stark Drive is offering a foldable pedelec called the Mini for only 299 dollars. A 250W axle motor on the rear wheel and a 252 Wh battery integrated into the frame allow for a 40km range. 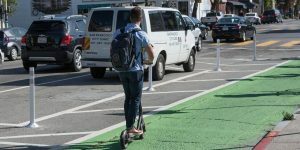 The Californian cities of San Francisco and Santa Monica have announced the license recipients for electric scooter sharing service: San Francisco has chosen Scoot Networks and Skip, while Santa Monica will be working with Bird, Lime, Uber and Lyft. Electric scooter manufacturer Govecs will be going public at the Frankfurt Stock Exchange this autumn. 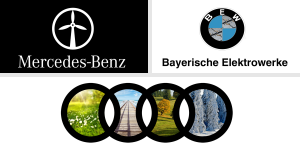 The company plans to invest the additional money from investors in production capacities, product line-up and distribution networks. The cult classic is returning with an electric motor. 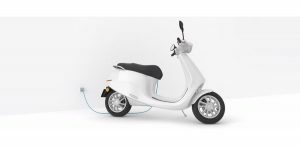 Piaggio has announced the production kickoff for their electric Vespa for September. 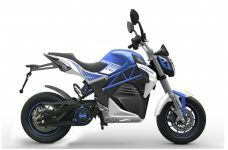 Next to a fully electric version, the Italian two-wheeler manufacturer is planning on offering a range extended version with an additional generator in future. 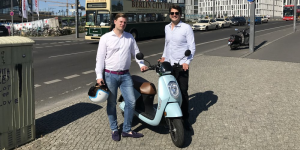 Berlin-based startup Simple Mobility is making an electric scooter at a price below 2,000 euros. 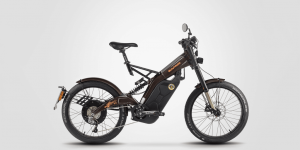 Their Simple eScooter uses Bosch technology in form of a 1,500 Watt electric motor and two battery options. They last for 50 or 100 km respectively. It sells online only. The Indian manufacturer TVS Motor will likely be presenting their new hybrid scooter later this month, called the iQube. They also plan to invest in another Indian manufacturer named Ultraviolette Automotive. Honda has been making the Super Cub for some 60 years so that by now the little halfling of a motorbike and scooter has become legendary. Still only Shanghai Customs of China offers to convert the machine into an electric motorcycle, with growing success. 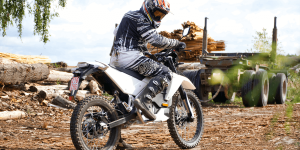 The US American motorcycle manufacturer has introduced a growth strategy up to the year 2022, which not only includes the confirmation for the rumored e-motorcycle launching next year, but also includes perspective for adding a few more. 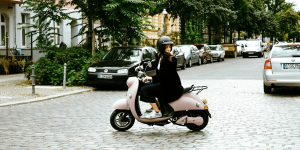 The Dutch startup Bolt Mobility has renamed themselves Etergo, and presented the final version of their networked electric scooter named AppScooter. Instead of the originally promised 400 km, the range will be 240 at maximum without charging. 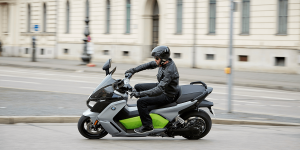 BMW is considering doubling the production of their electric scooter C evolution in their factory in Berlin Spandau by introducing a second shift. Last year they produced 1,700 e-scooters at the factory. 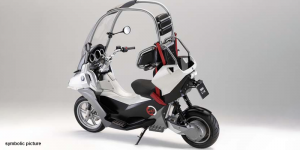 The Californian startup has presented a new electric motorcycle called the City Slicker, which will cost only $1,995. The 74 km/h top speed is designed for city use, as is the 100 km range, powered by a 2,160 Wh battery. 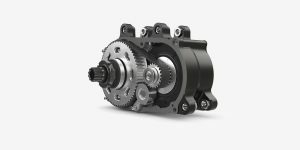 Brose and Shimano have introduced new motors for e-mountain bikes; the Drive S Mag (Brose) and the E7000 (Shimano). While one is designed for the more athletic tours, the other is designed with an affordable price in mind. 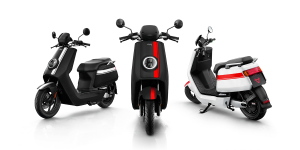 The electric scooter manufacturer Govecs is taking over the brand Elmoto from ID-Bike, further expanding their electric scooter model range. The company will begin releasing their next bike, the Elmoto HR4 at the start of next year. 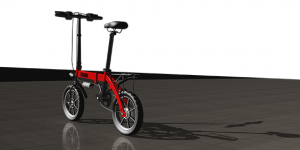 The Taiwanese bike manufacturer has announced construction plans for a new factory to manufacture pedelecs in the Hungarian Gyöngyös. Cost for the construction will run up to 46 million euro. After extensive testing, eMotion Motor of India present their first electric motorcycle, the Surge. Speed is capped at 120 kph and the battery said to last for 200 km. Neither price nor launch are set but it does have power. Speed Pedelecs, meaning electric bicycles with a maximum speed of 45 kph are allowed on bike lanes in Denmark as of July. Until now, they had to be registered as a small motorbike and had to follow rules different from those for bicycles. 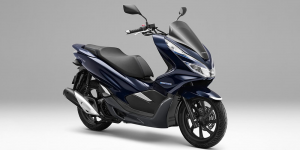 Honda is expanding their scooter range with a motorcycle hybrid system that will come to live inside the PCX HYBRID. The company says it will be the world’s first mass-produced hybrid scooter once it kicks off this September in Japan. 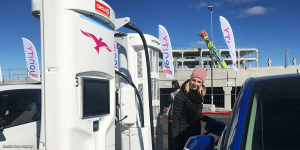 The Fuel Cell Power Pack (FCPP) developed by the German Aerospace Centre (DLR) is a novel system specifically design for electric cargo bikes. 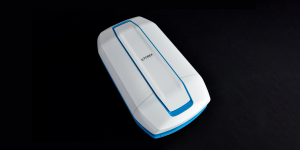 It has twice the range and durability of comparable battery-electric pedelec systems, the researchers say.